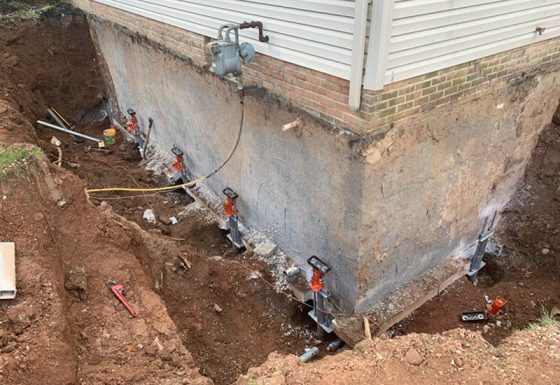 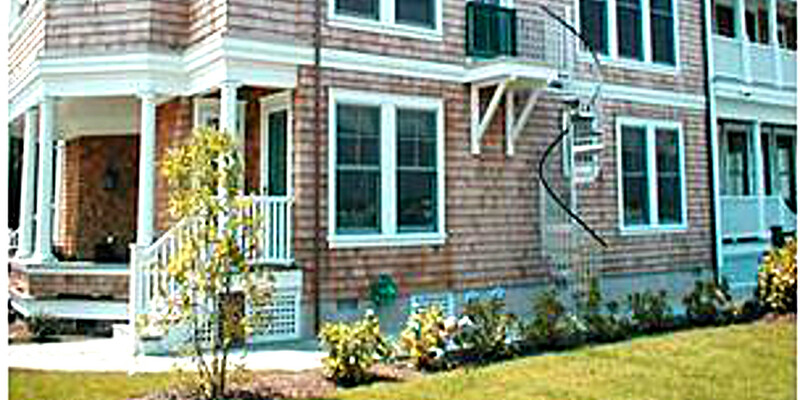 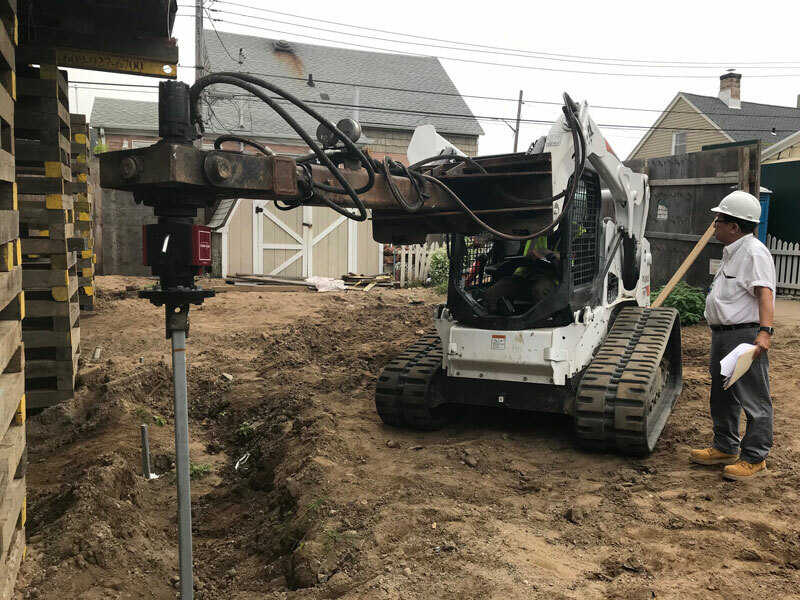 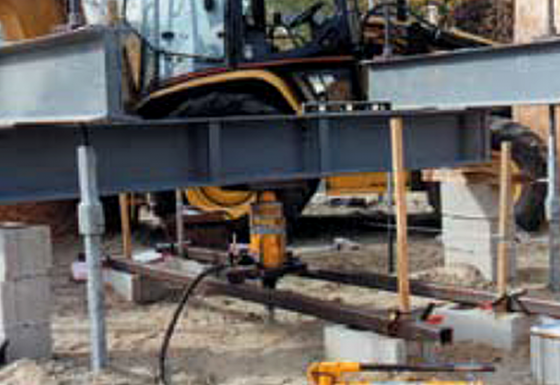 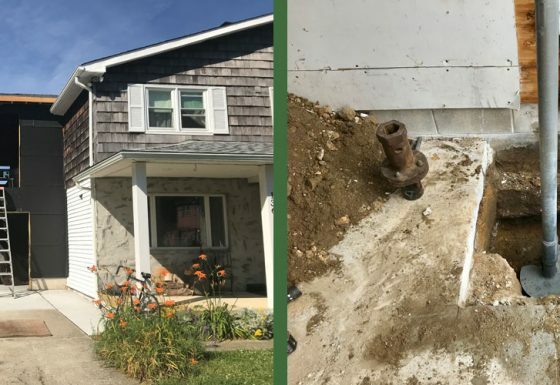 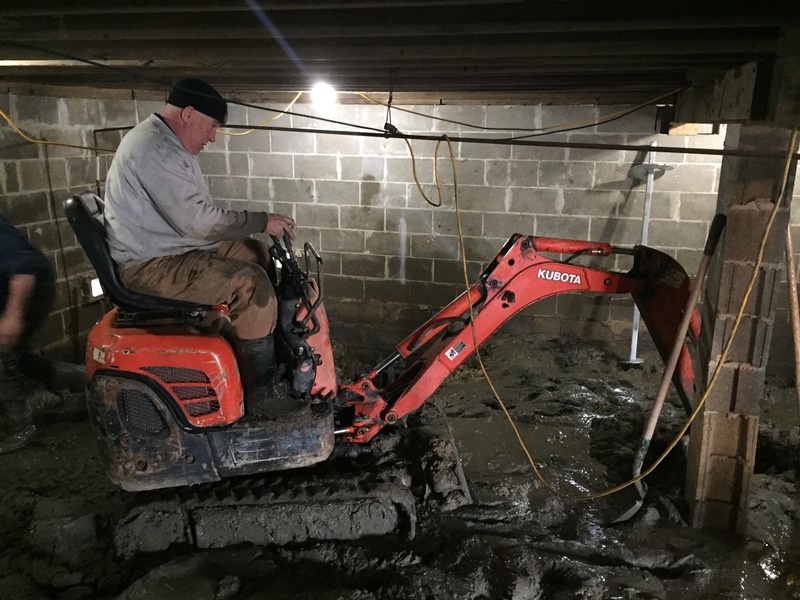 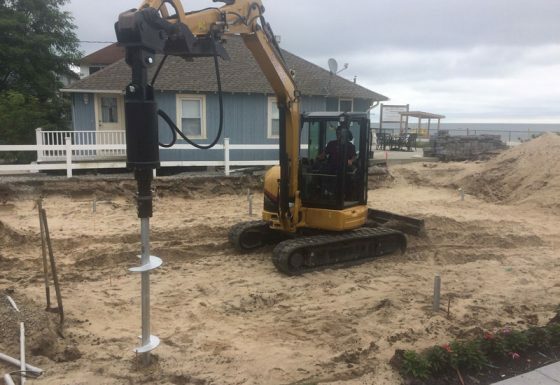 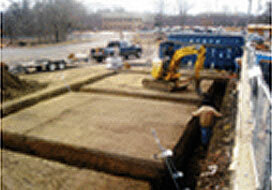 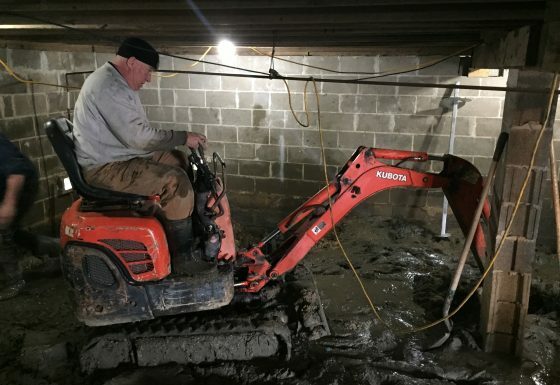 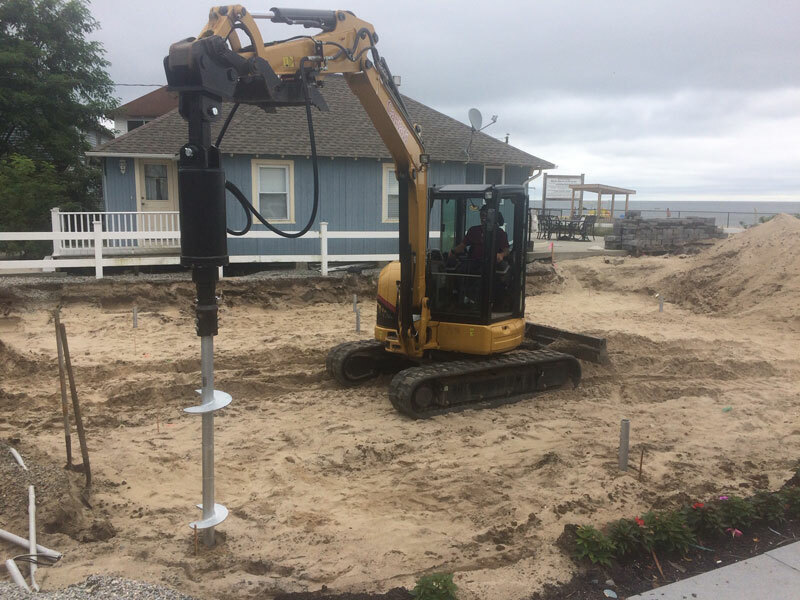 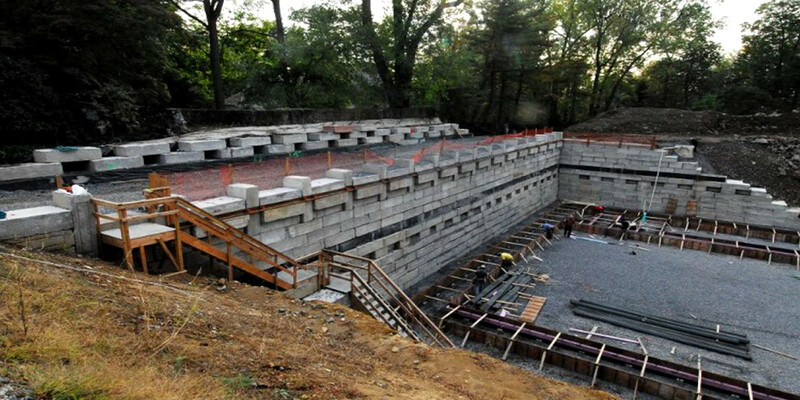 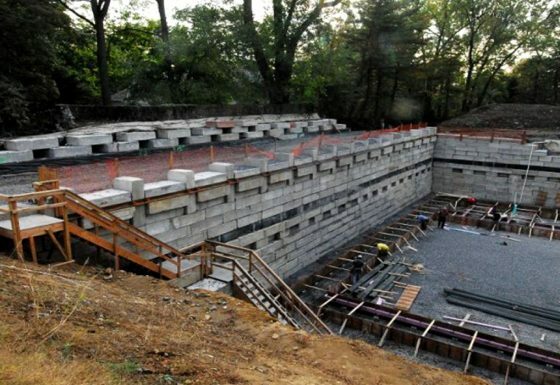 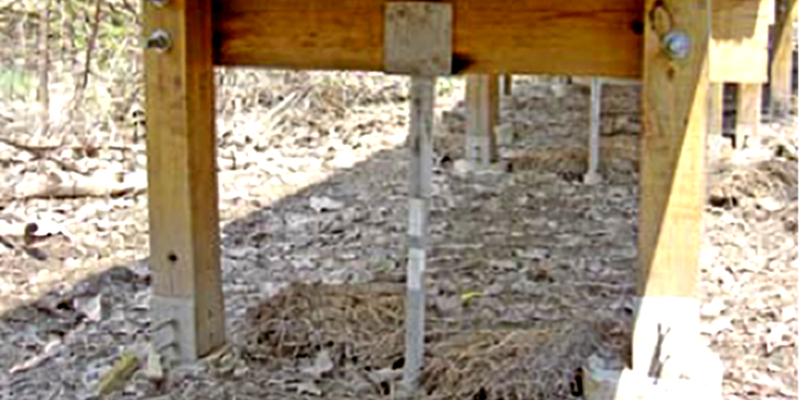 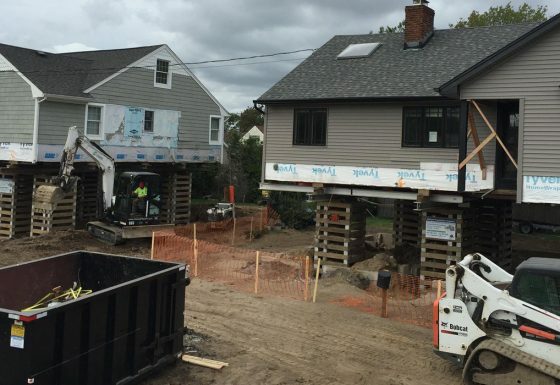 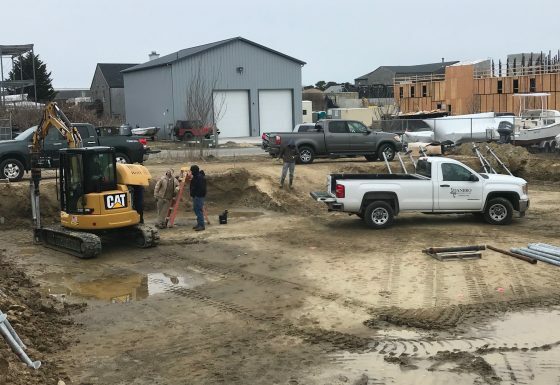 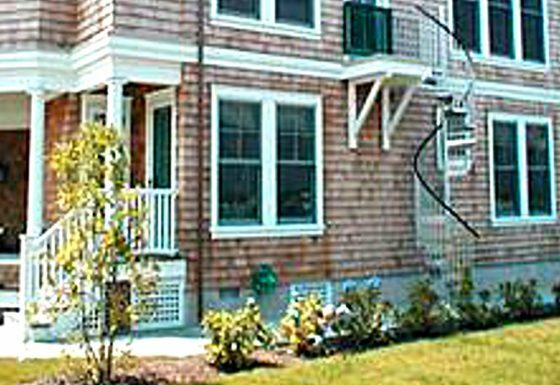 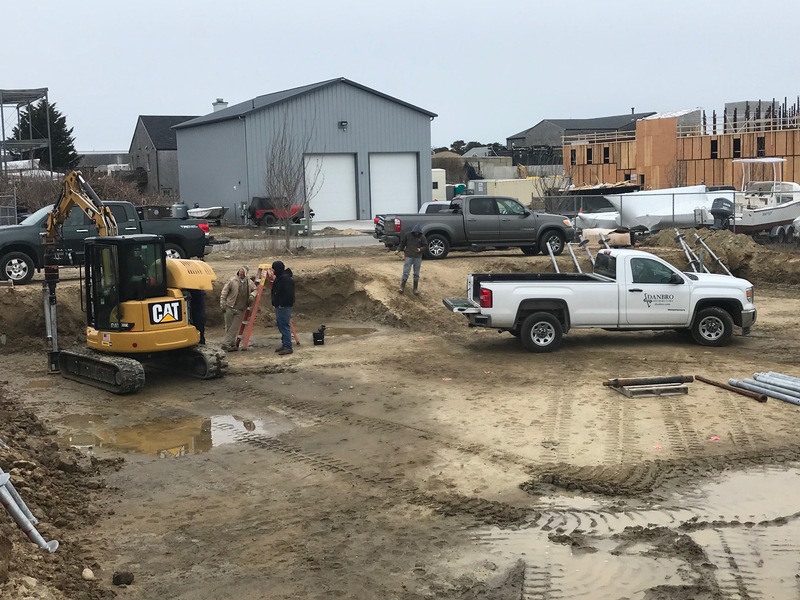 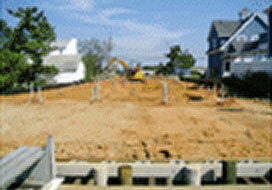 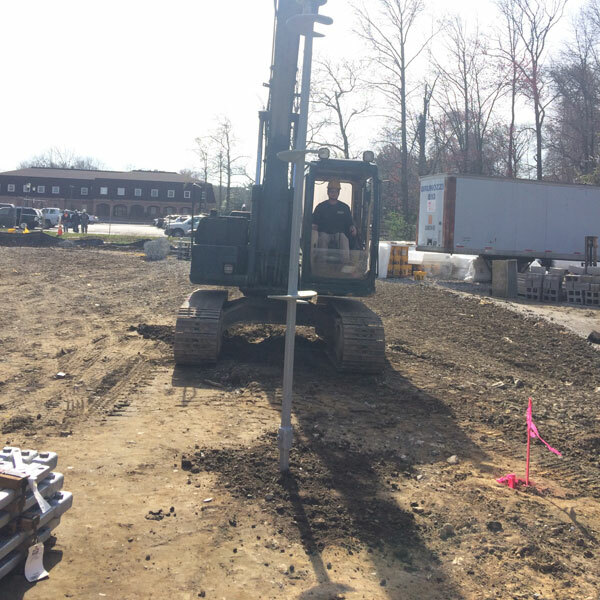 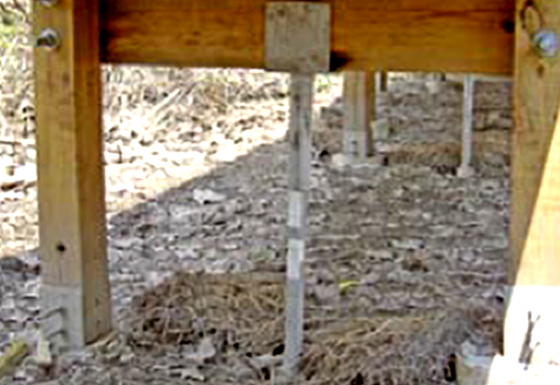 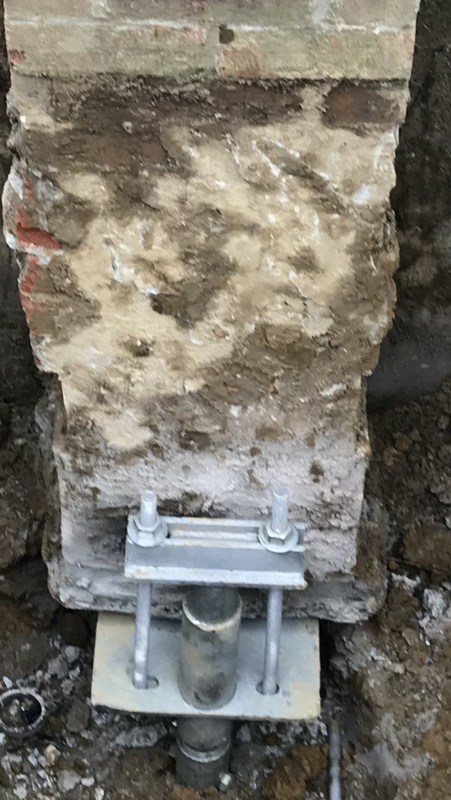 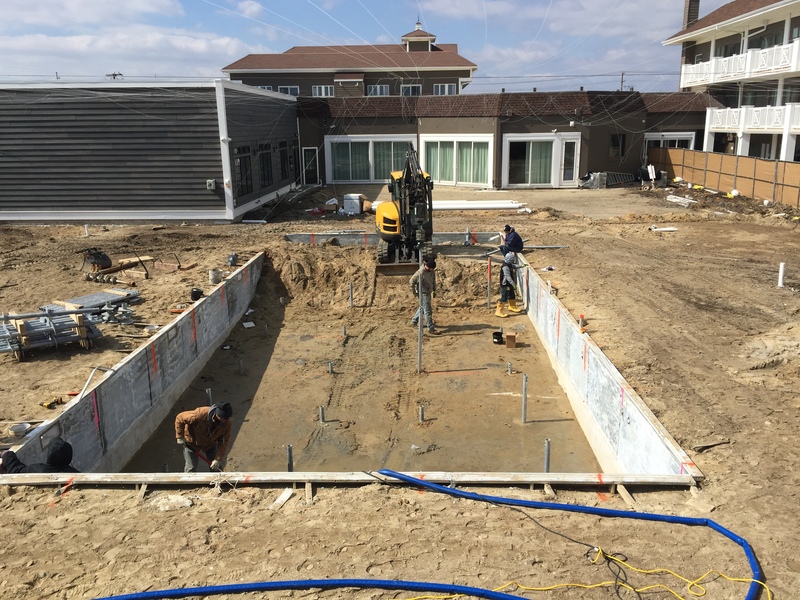 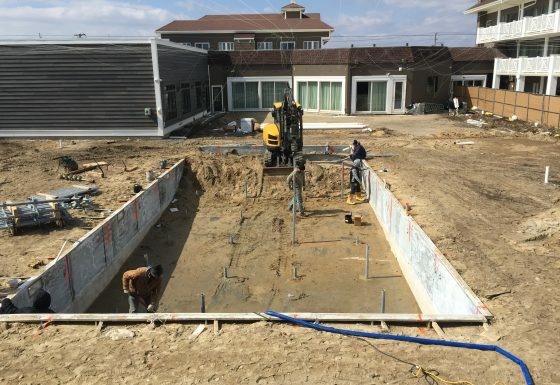 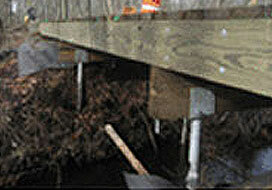 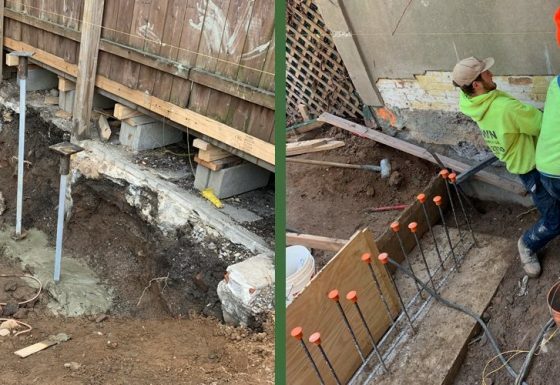 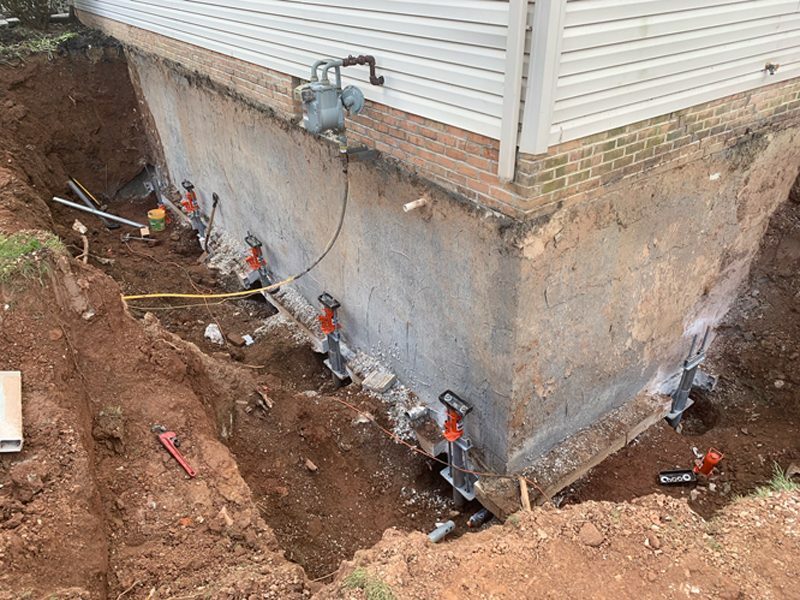 An addition on a home required a deep foundation to support the increased load. 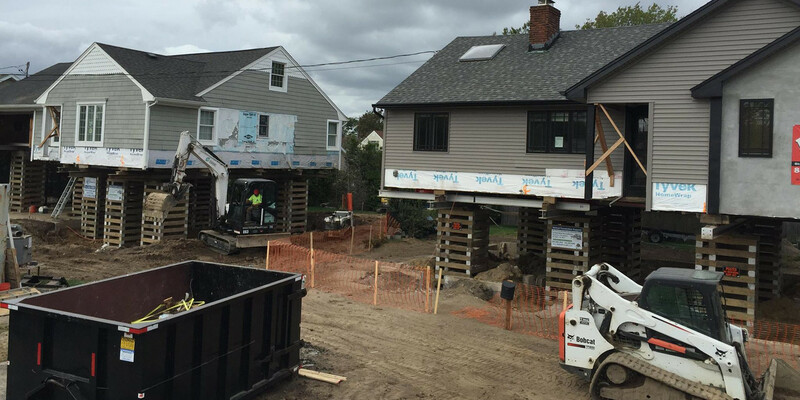 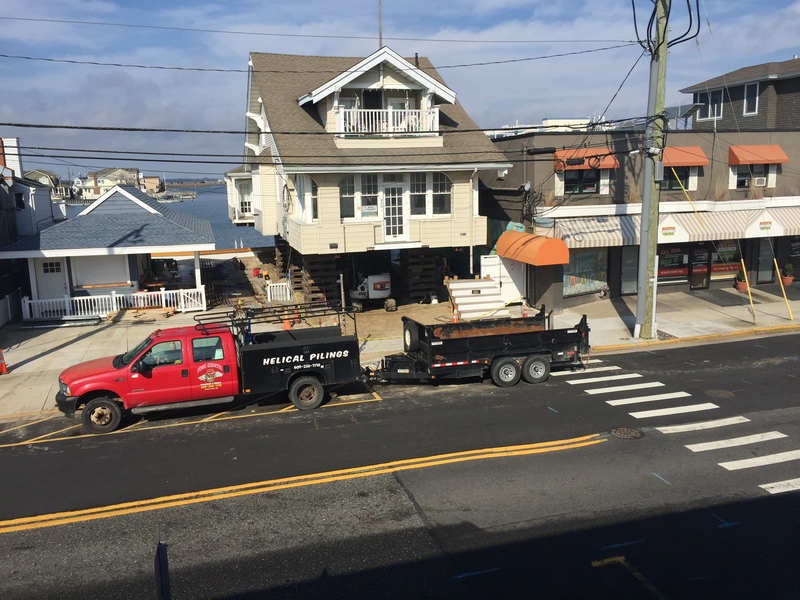 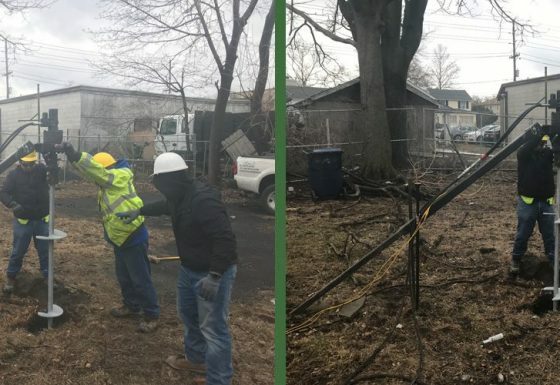 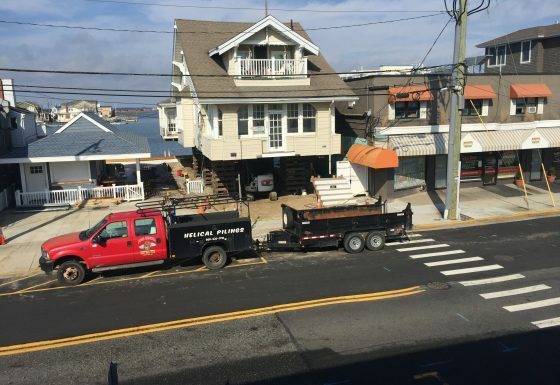 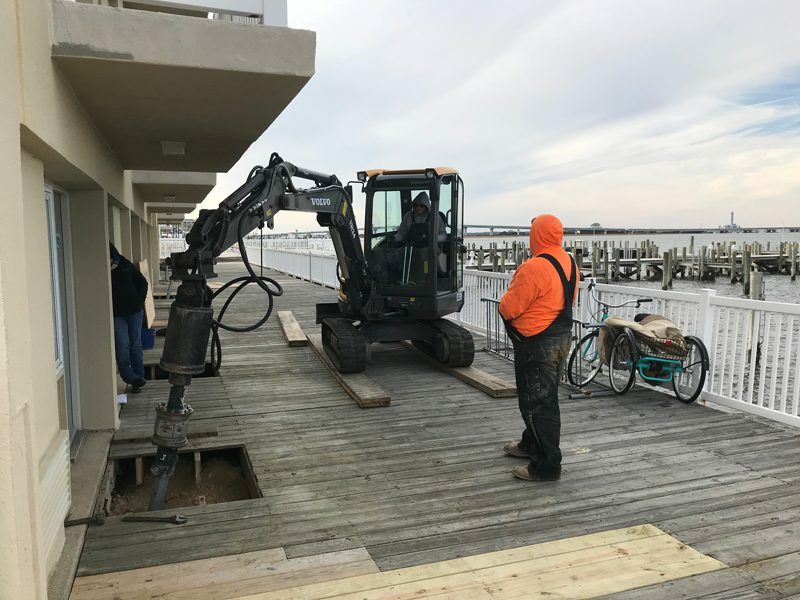 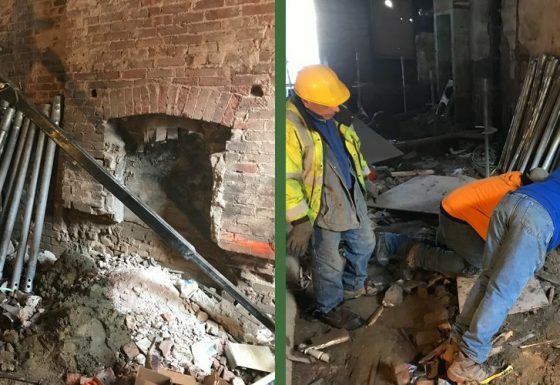 Timber piles were out of the question as some piles were inside of the house while others were mere inches from the outside of the structure. 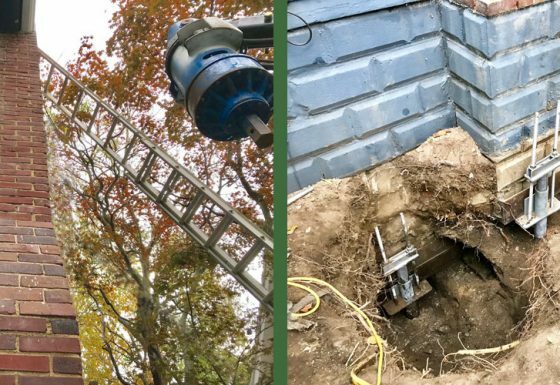 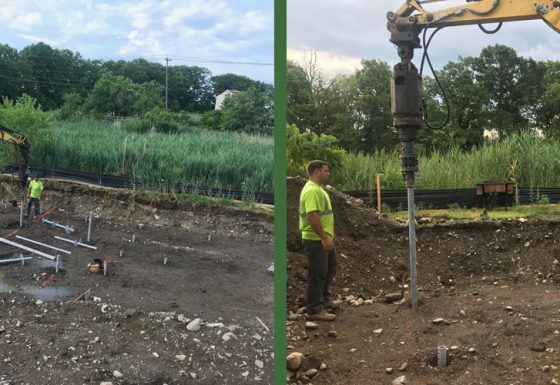 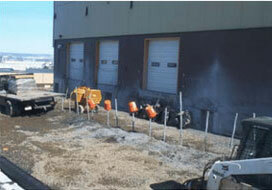 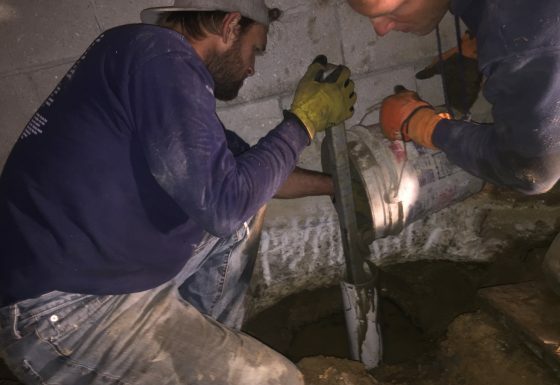 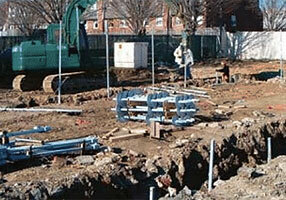 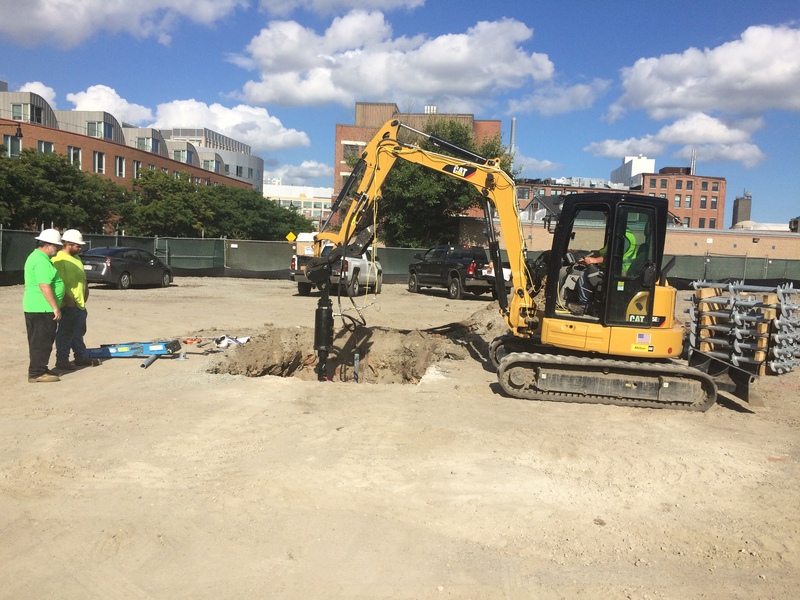 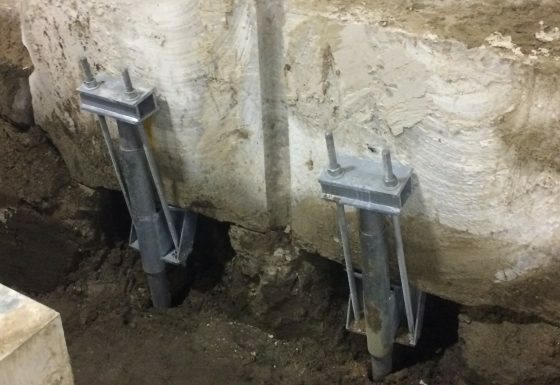 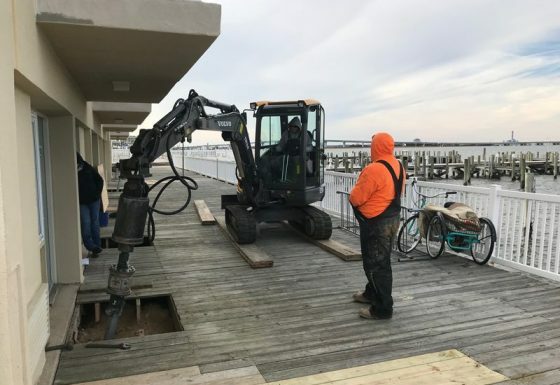 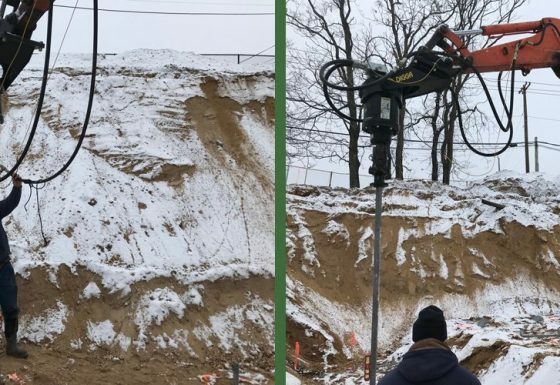 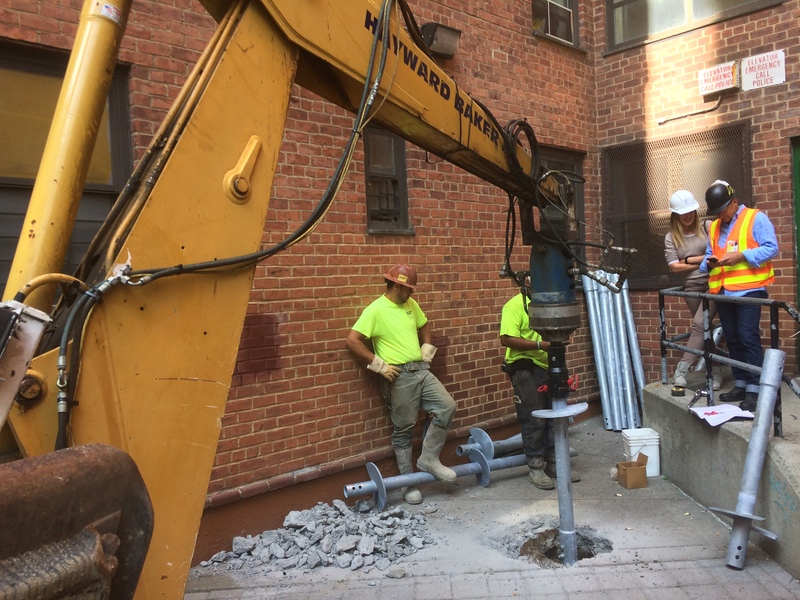 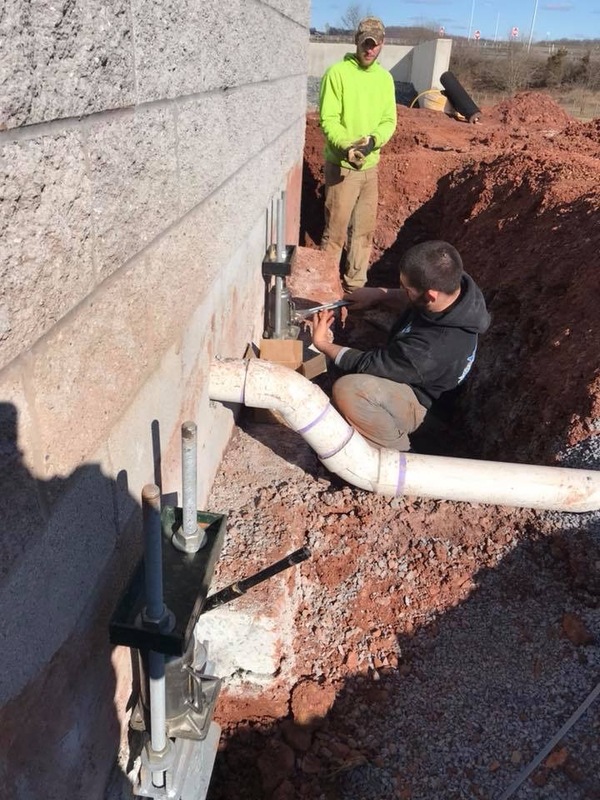 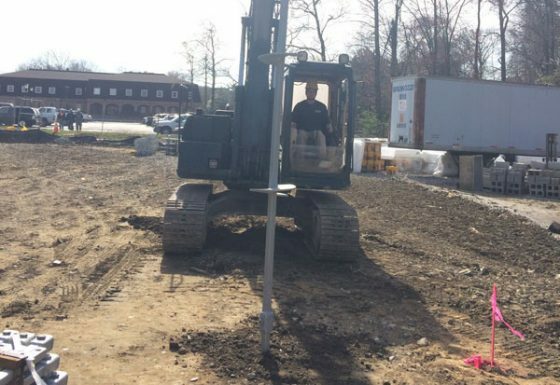 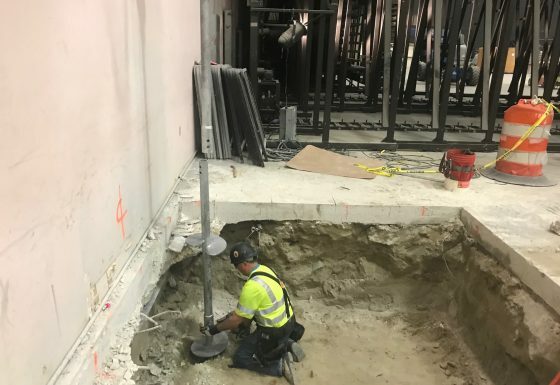 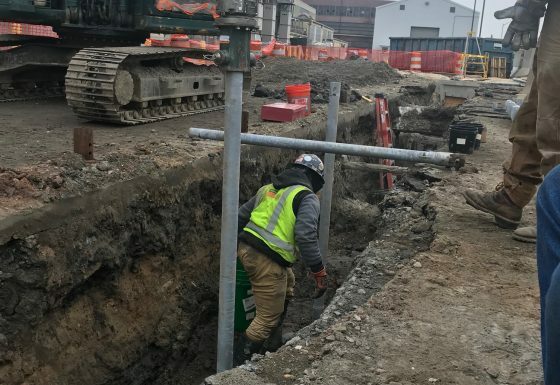 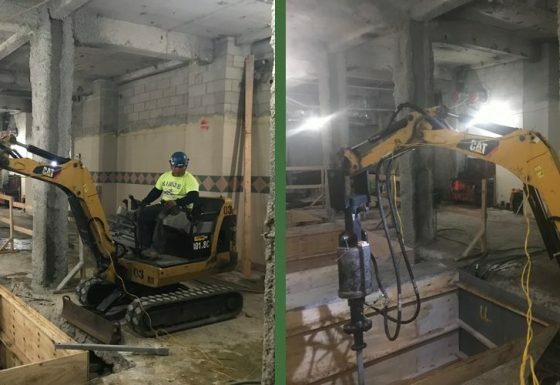 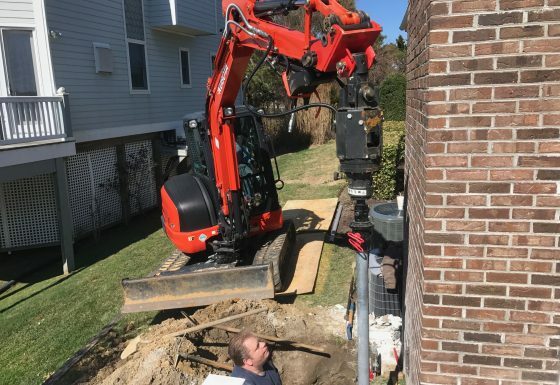 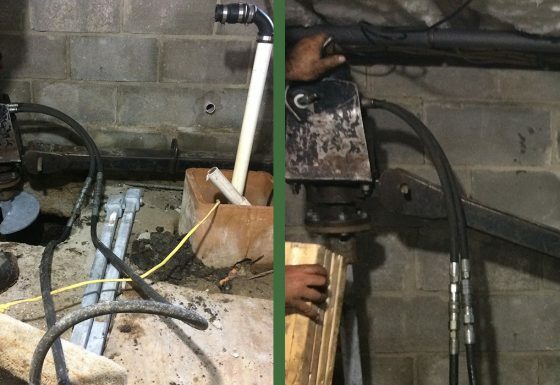 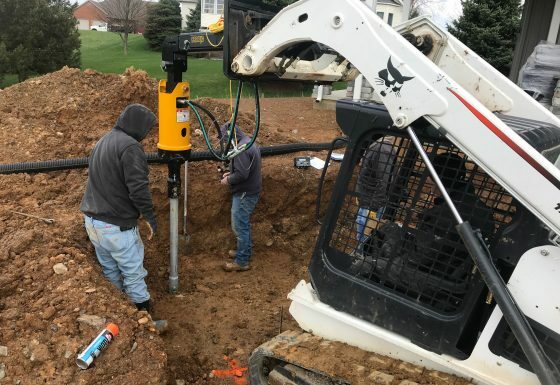 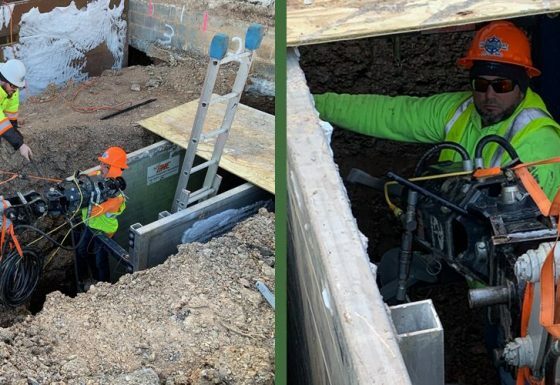 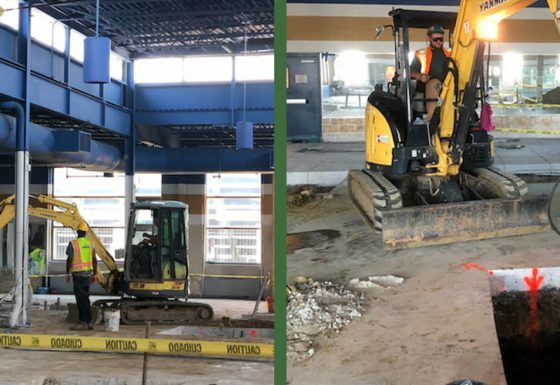 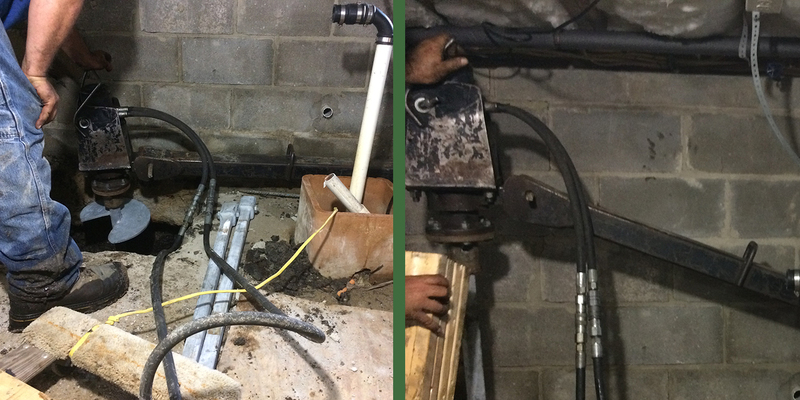 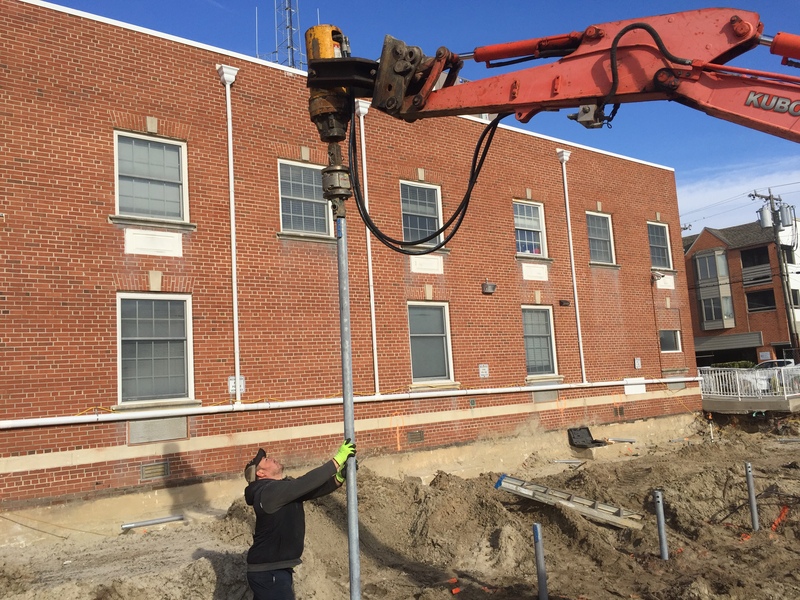 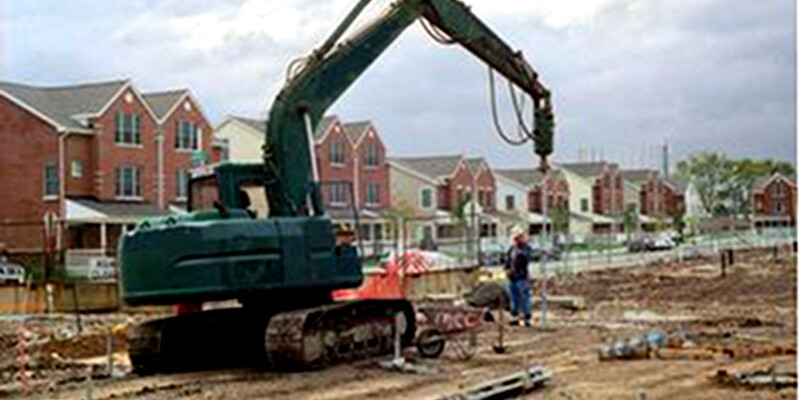 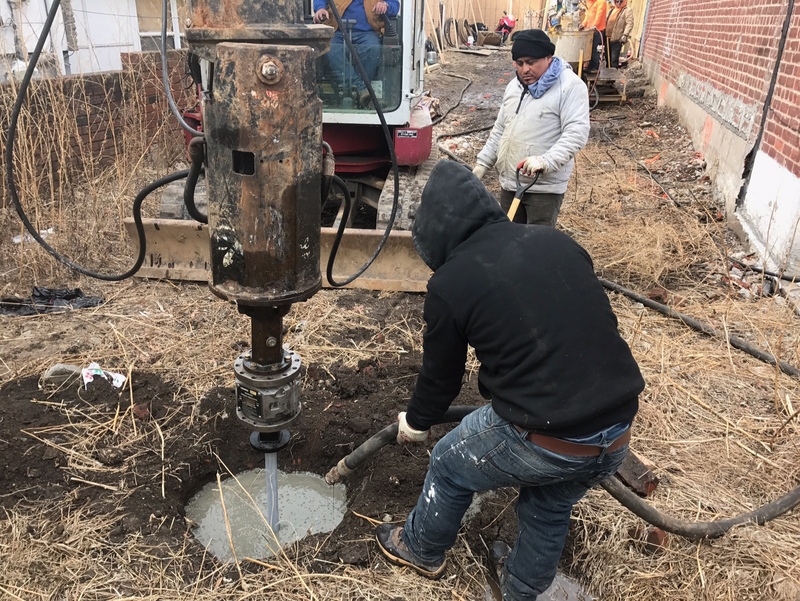 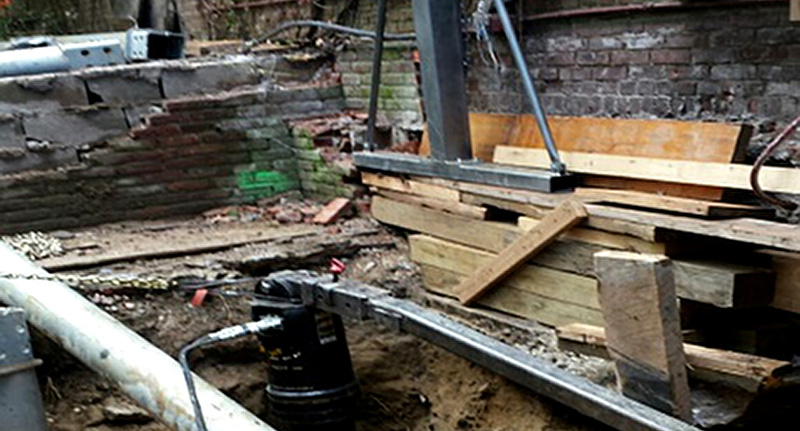 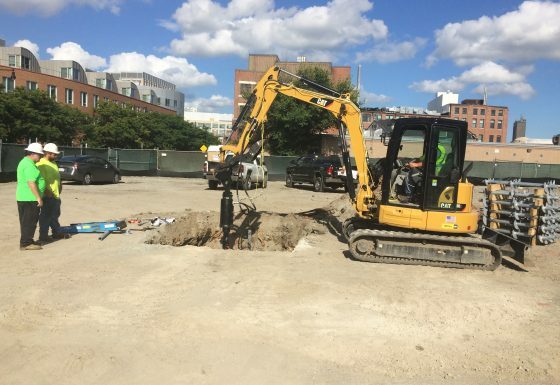 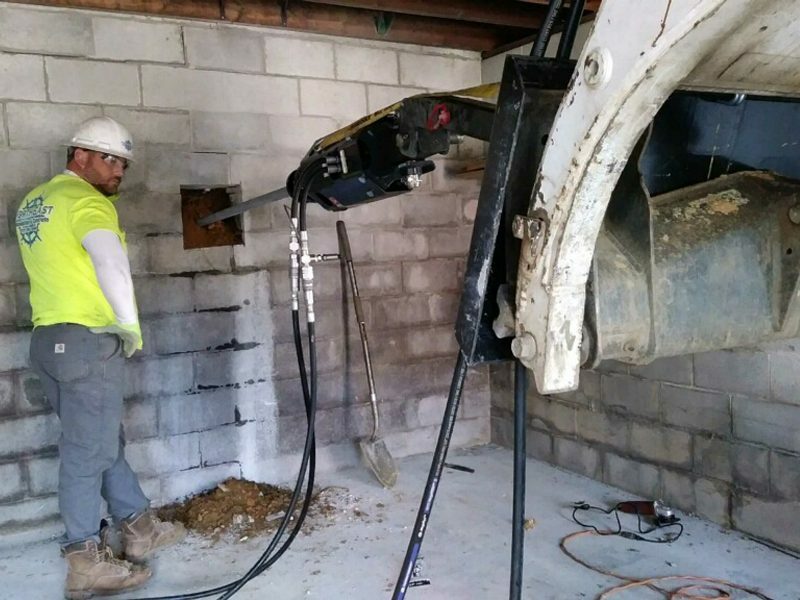 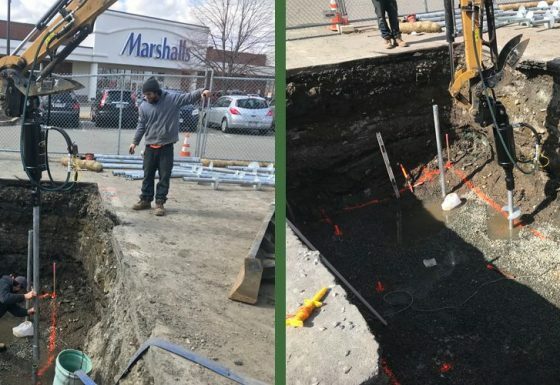 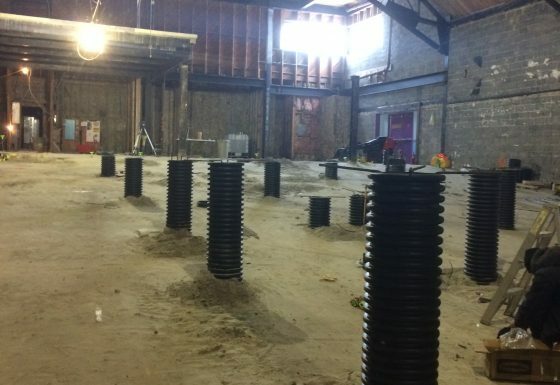 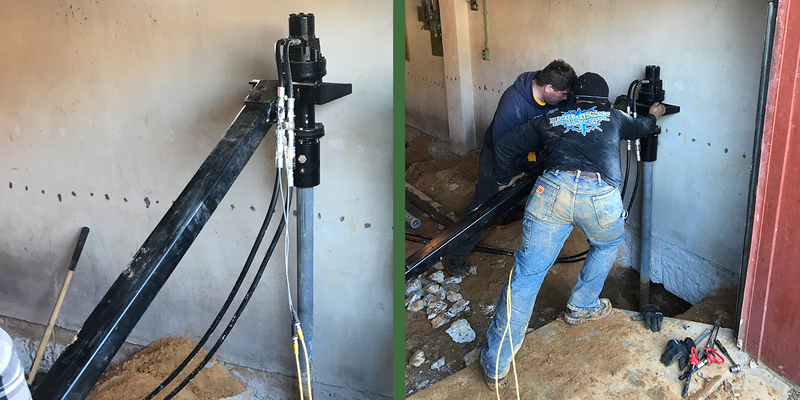 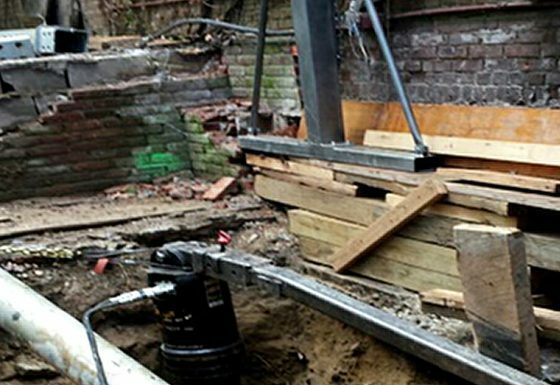 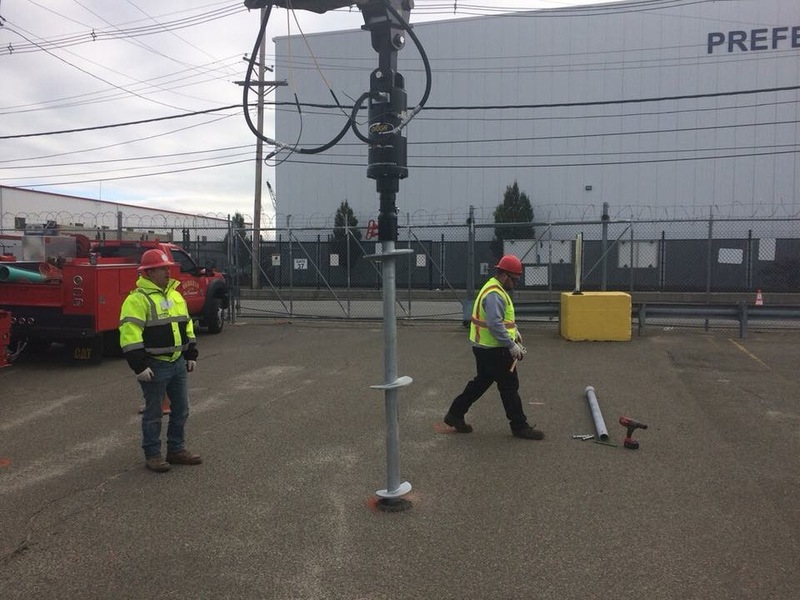 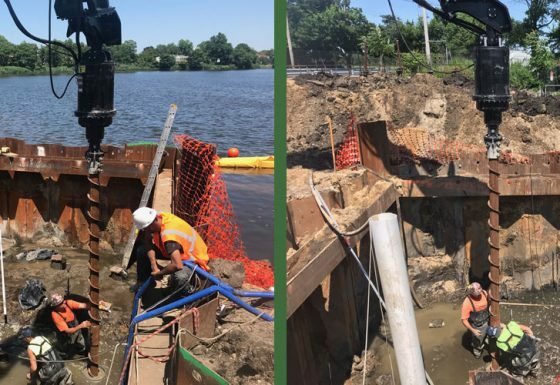 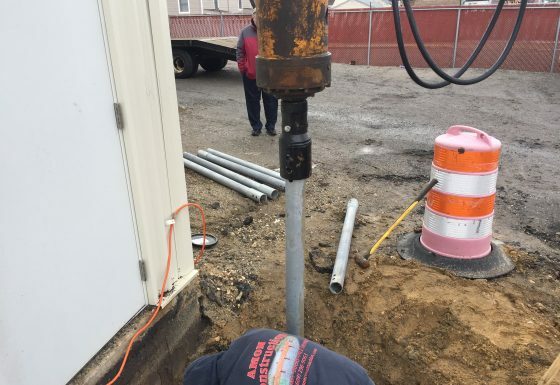 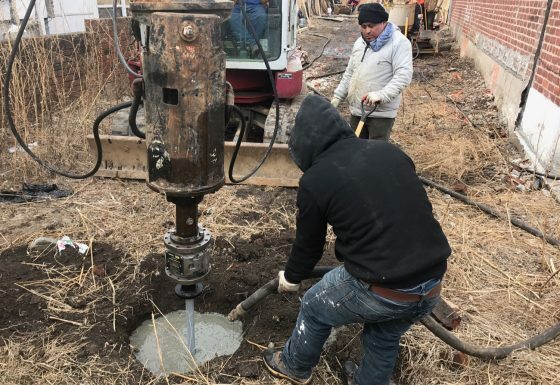 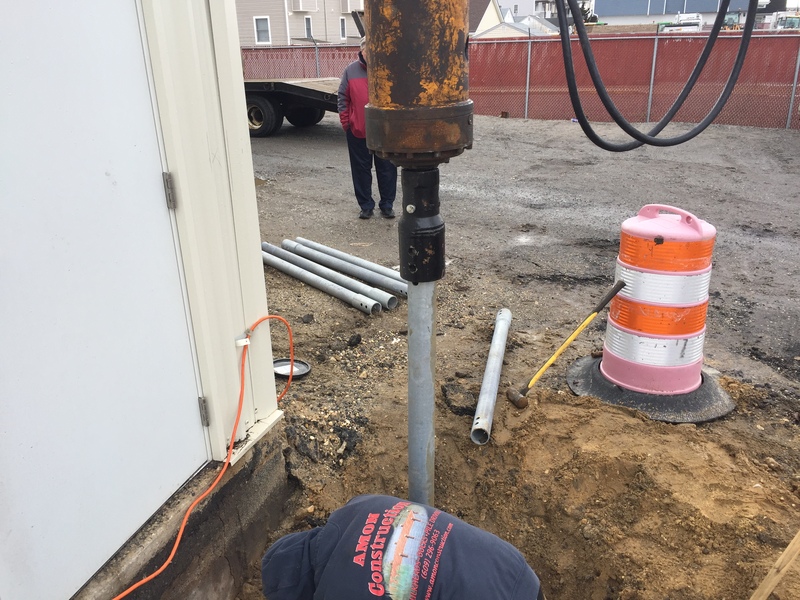 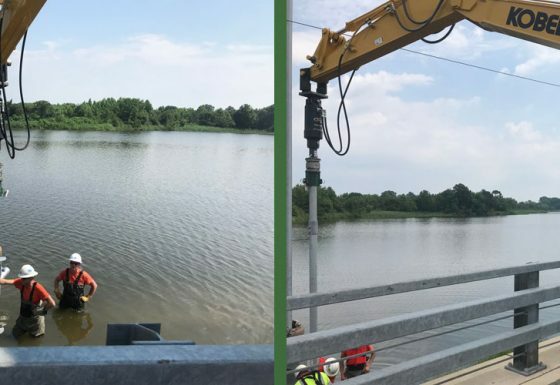 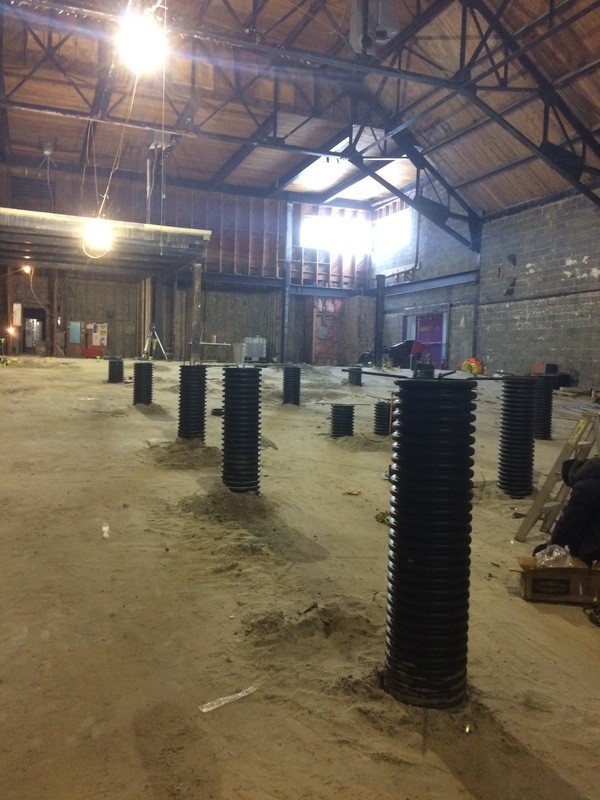 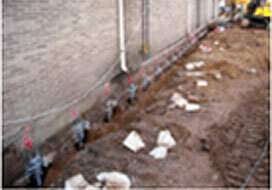 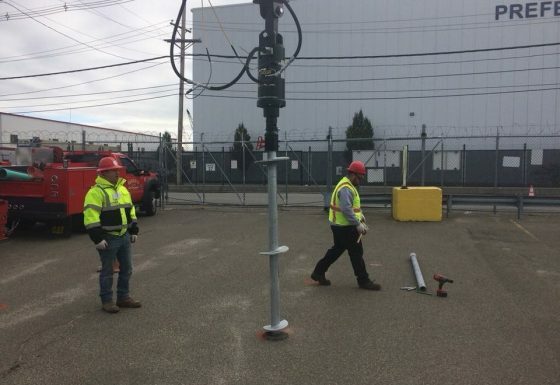 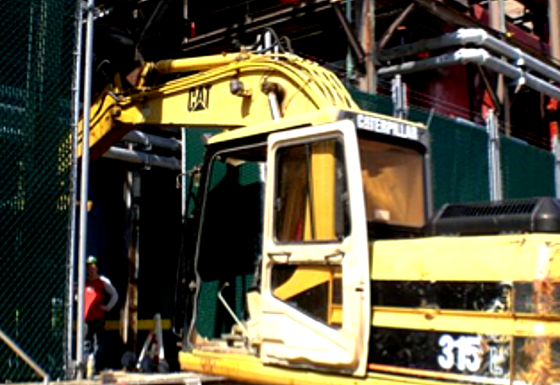 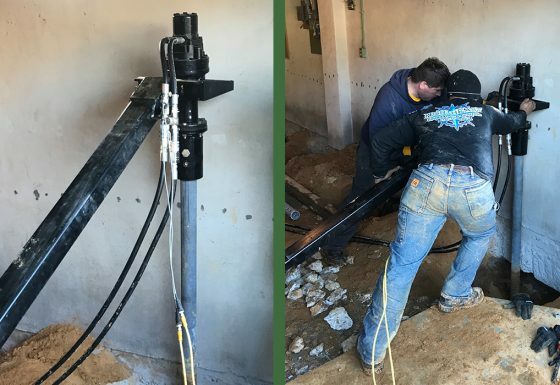 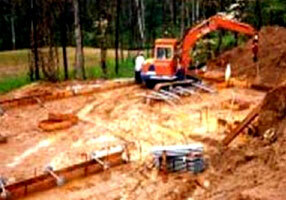 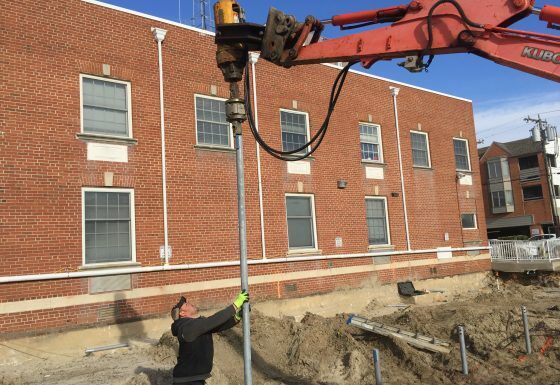 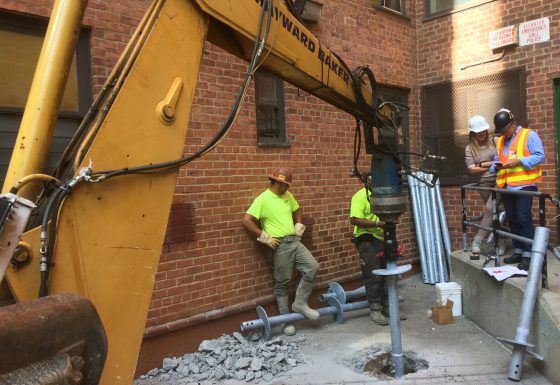 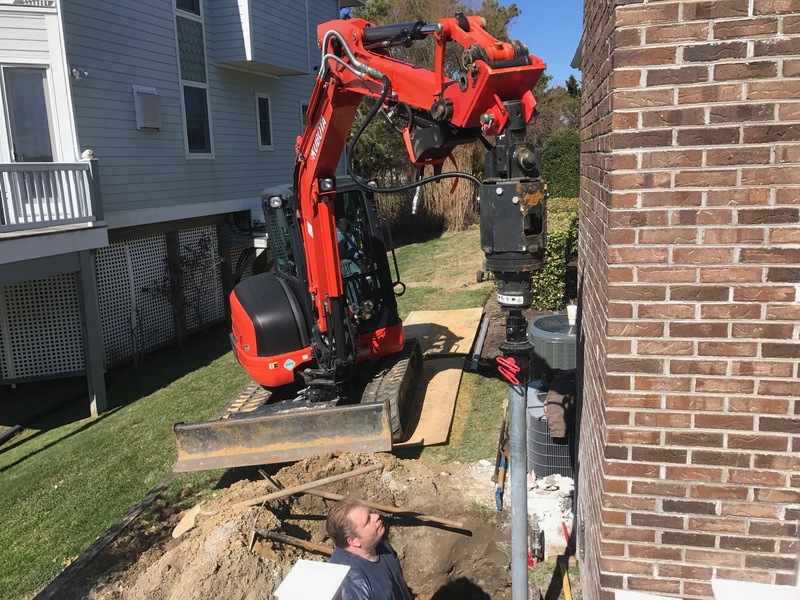 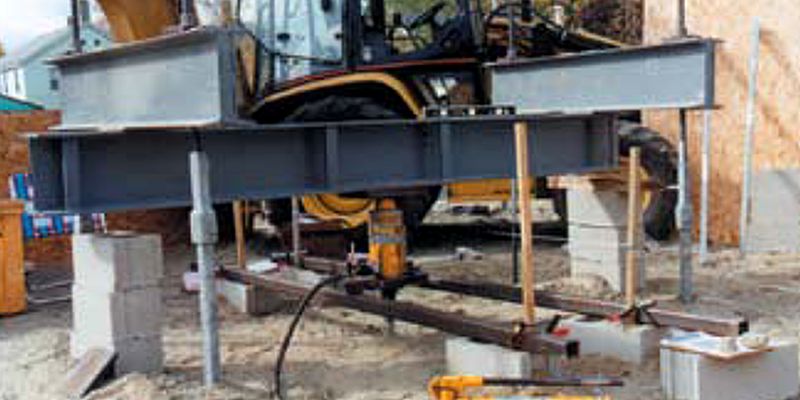 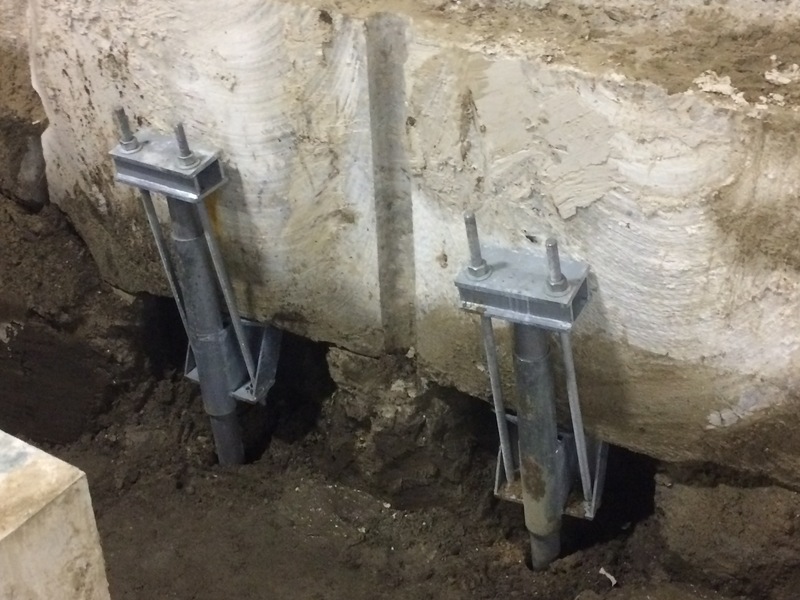 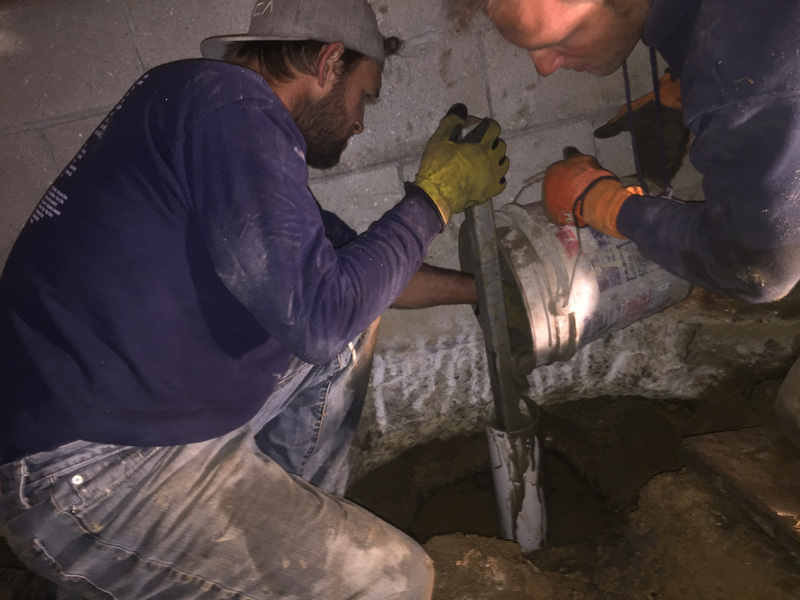 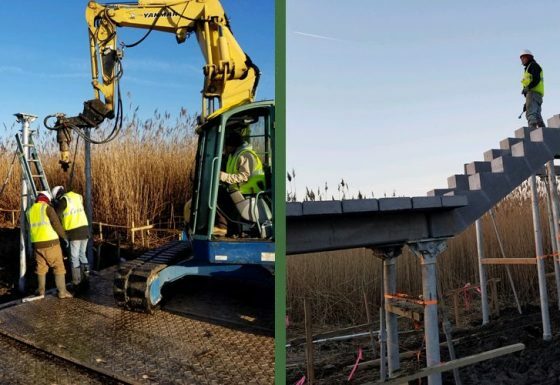 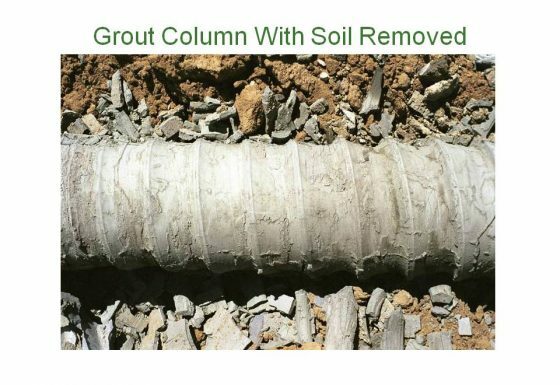 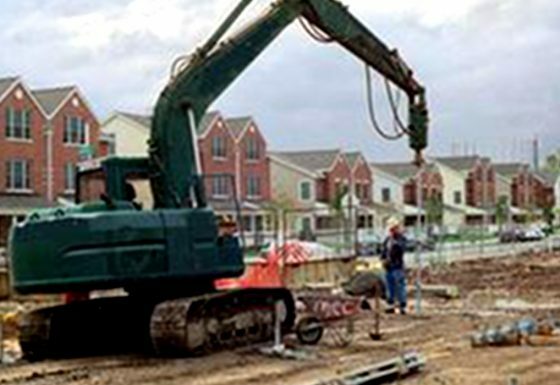 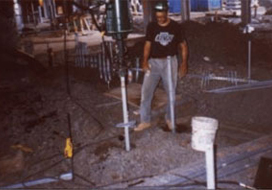 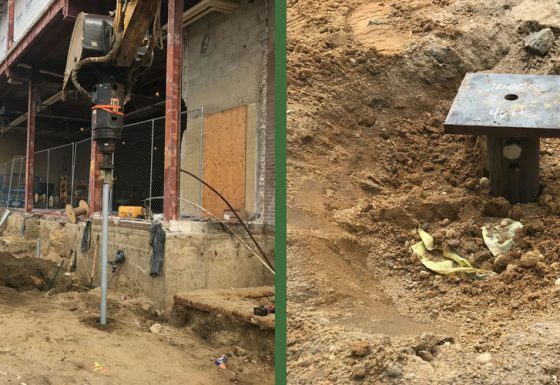 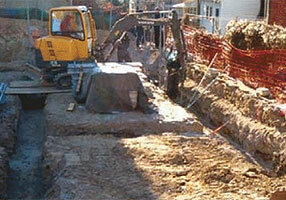 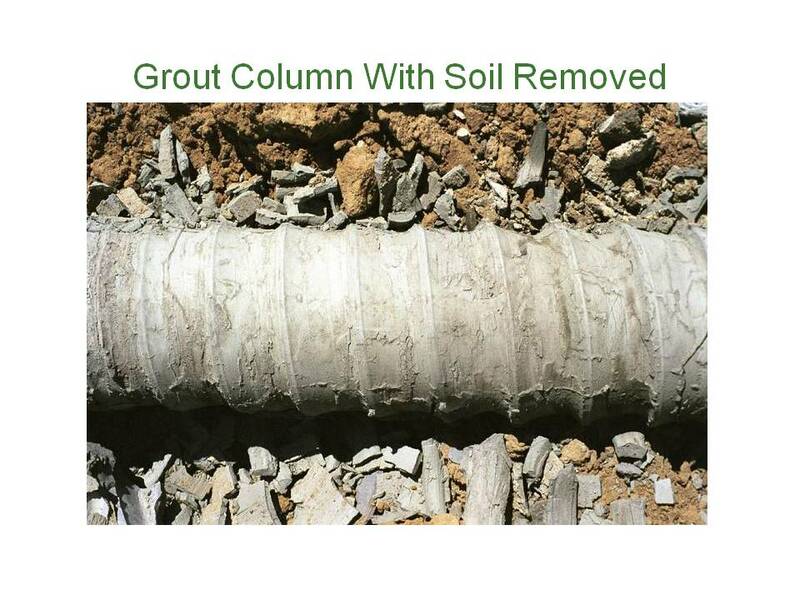 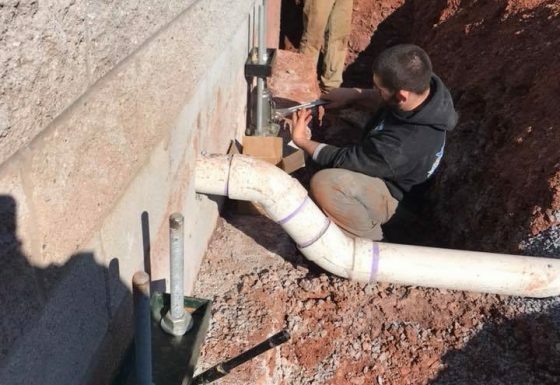 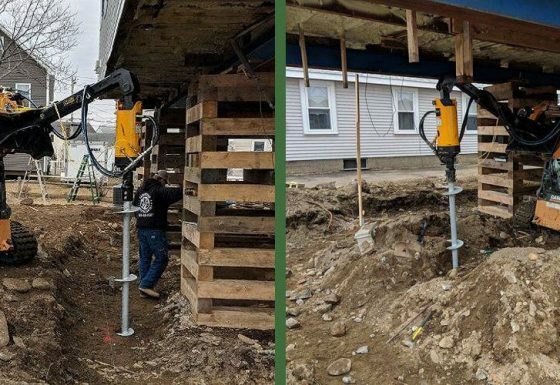 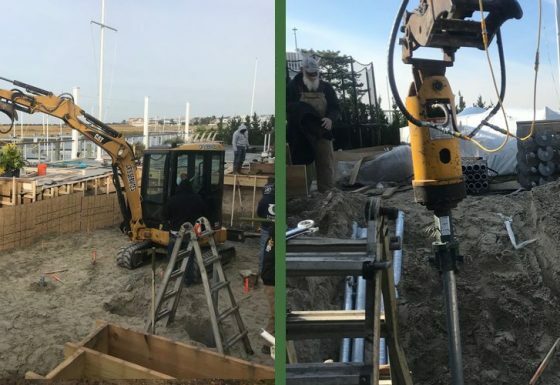 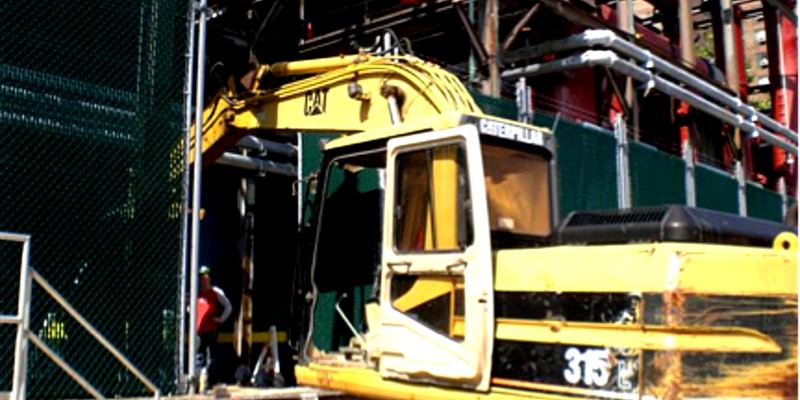 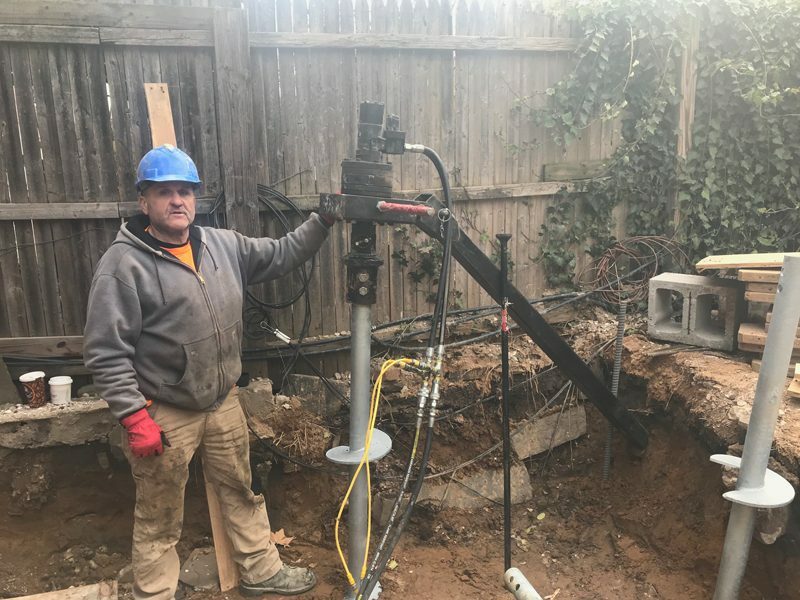 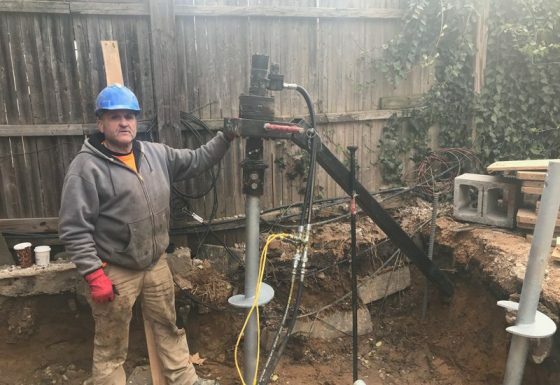 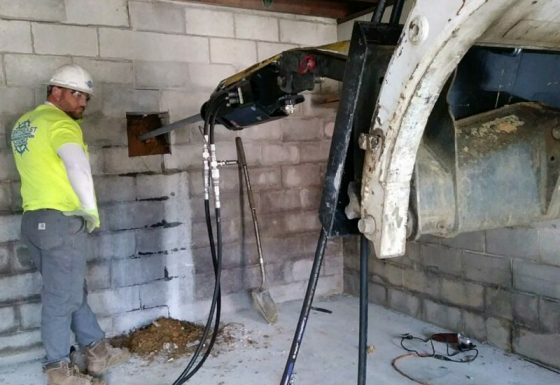 Helical piles were the safest, low impact and most economical solution for the job. 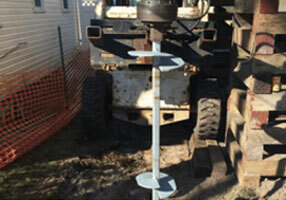 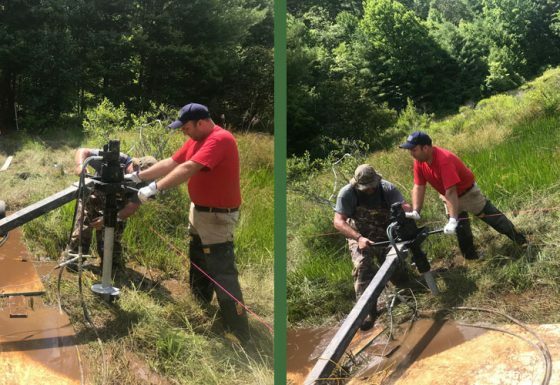 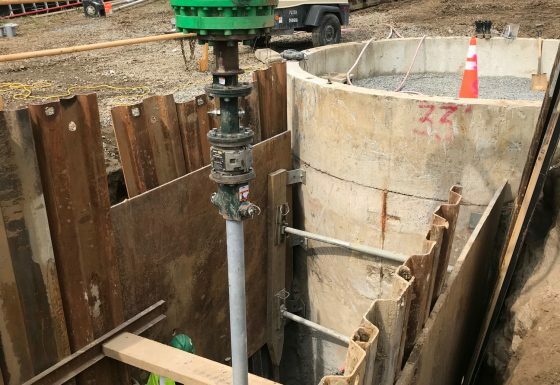 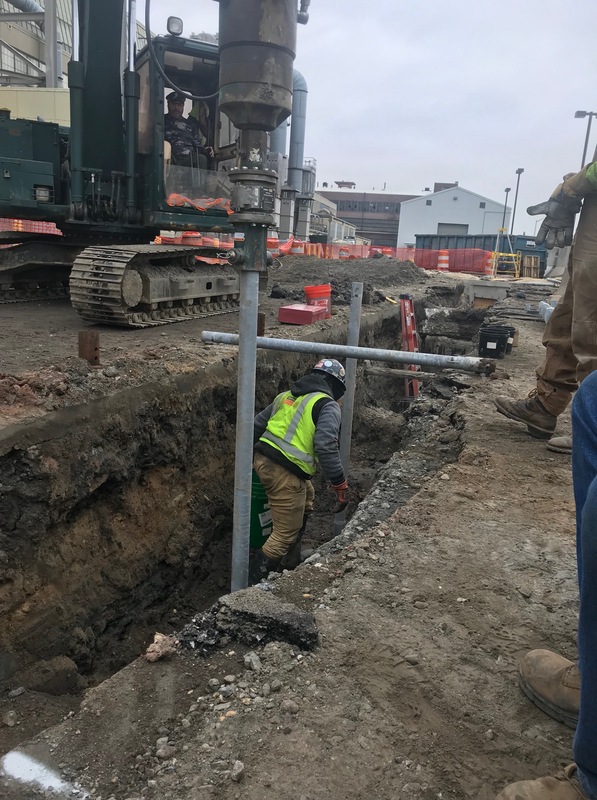 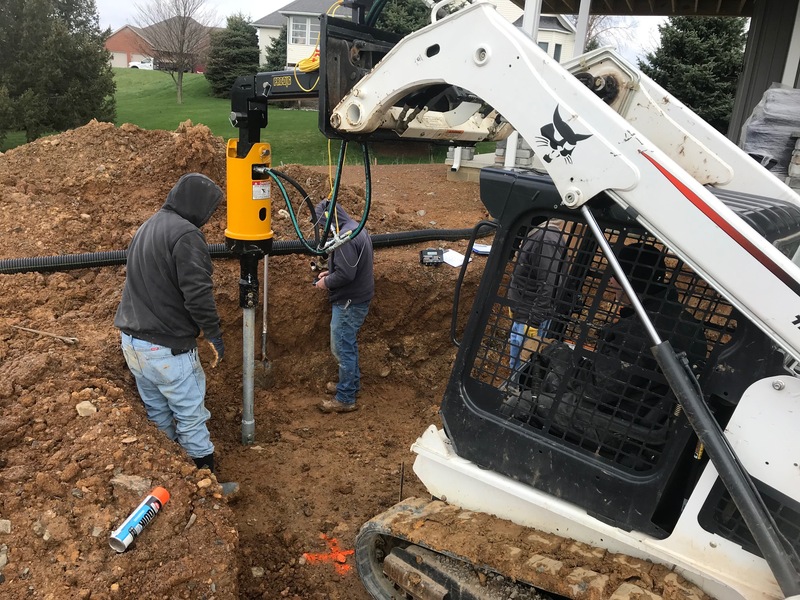 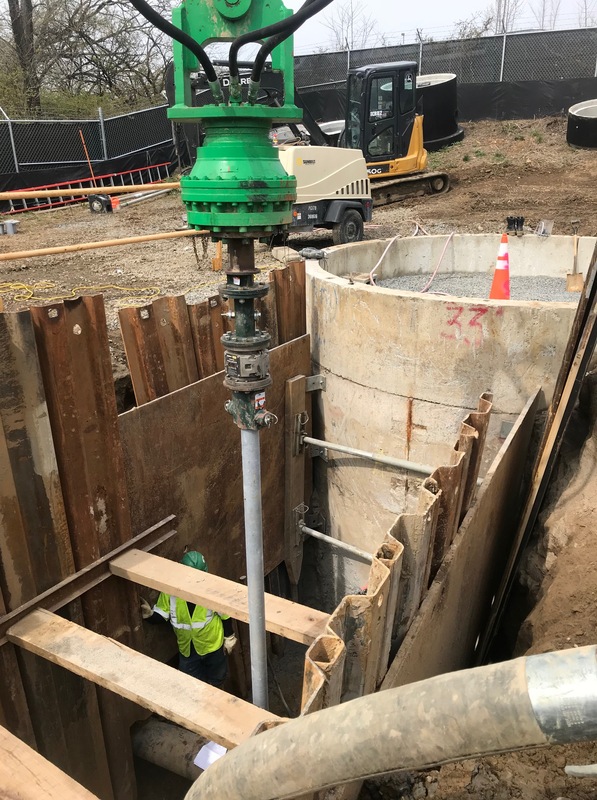 Challenge/Unique Aspect: Helical piles come in segmented lengths, typically 3,5,7 and 10 foot sections. 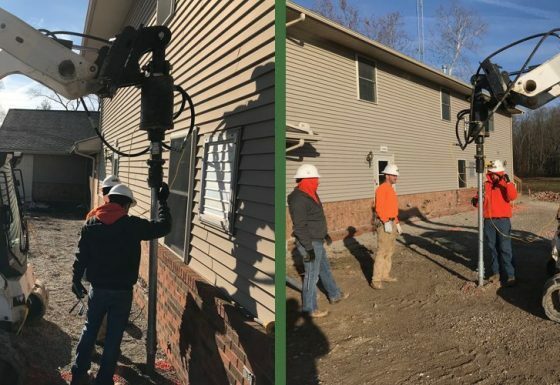 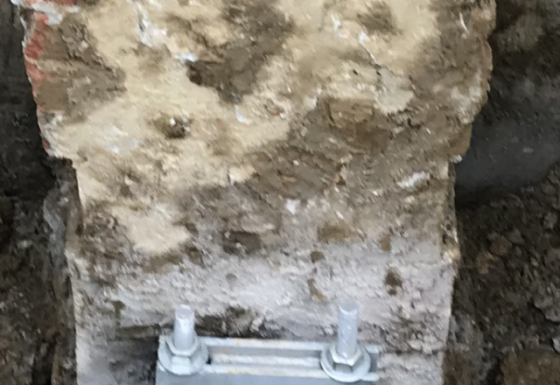 The contractor was able to use shorter extensions inside of the garage dealing with overhead limitations and then switch to longer extensions outside of the home, to speed the installation.